Hedgelaying Tips Oct 04, 2016 Hedgelaying Once, in the days before wire, plastic and electronic fencing, nearly all farms used to practice hedge laying in order to keep the fields stock p.. 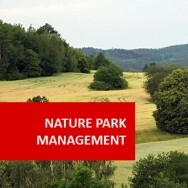 Nature Park Management II course online. Home Study - Distance Learning. 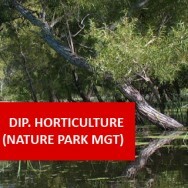 Nature Park Management Course. Boost your nature park managing skills further! 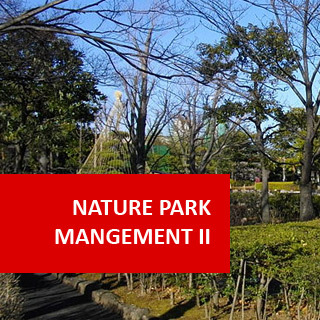 This online course builds on Nature Park Management I, but can be taken in its own right. It focuses more on indigenous plants and using them to create natural, balanced ecosystems. 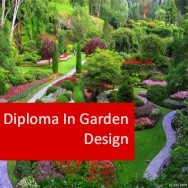 Learn to create nature trails, build rockeries and pathways, construct ponds and watercourses, design picnic grounds and animal enclosures, promote a nature park, and lots more. Follow this course up with our Diploma in Wildlife Management, Diploma in Horticulture (Nature Park Management), or Higher Advanced Diploma in Environmental Management? Introduction to and use of the main Proteaceae genera. Introduction to other Australian plant genera; e.g. ferns, conifers, Melaleuca, Callistemon. Explain how by changing drainage patterns man can damage a natural environment. Consider both urban and rural areas. Why would you plant trees several years before planting lower plants in an area you are attempting to return to natural bush? How would you go about rehabilitating or establishing an area? Present your notes and sketches from a study of natural rock areas. Present photos or sketches of rockeries you have inspected. In what situations would you be likely to create rockeries in a wildlife enclosure? Why? Prepare a list of 30 Australian native plants stating how you would propagate them and why you would use that method in preference to others. Prepare a table of at least 20 different recreation activities that you may be familiar with that indicates how compatible these activities are with each other. Design a magazine or newspaper advertizement to promote a park you visited. Name a nature park which you know of through their marketing, though you have never visited it. What aspect(s) of their marketing have made you aware of this park? Describe step by step everything you need to do to grow a eucalypt from seed into a healthy plant over a ten year period. Select 25 different species of Eucalyptus which you have details about and write a description and notes for each of these species. Write descriptions for six different species of wattles which will grow successfully in your locality. What are the principle uses of the Proteaceae and leguminous plants as you see them in a park situation. Make up a list of at least 30 Myrtaceae species which will grow well in your locality. Draw a concept plan for the development of a wildlife park. Draw a detailed plan for the construction of an animal enclosure. Submit the drawing (or photo) of the picnic area you looked at with your comments on the design of that facility. 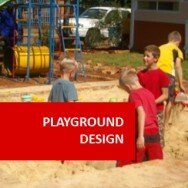 Design a piece of park furniture and prepare a costing for the production of the item. List six different types of park furniture you looked at. Collect catalogues from lawn seed suppliers, instant lawn companies etc. Contact several quarries in your area. 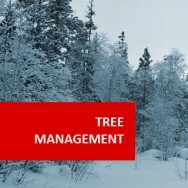 Collect samples of the materials they supply. Contact artificial turf companies and make up a list of materials available. Find three examples of bad selection of surfacings in a landscape. List freshwater and saltwater animals that can be farmed under aquaculture management in your locality. Design a water feature of your choice. Compare the alternative methods of sign production to show the differences between methods with respect to cost, durability, the situations where it would be appropriate or inappropriate to use each type. Design a sign which will enable visitors to distinguish between the different animals in an enclosure. Write a short piece of literature for children which relates what you can observe in an enclosure. Suggest a supervised activity for children which could be used in a wildlife park during school holidays.